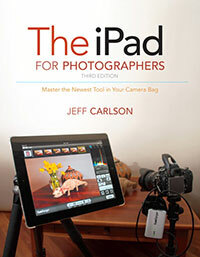 Last week I had the pleasure to talk to Chuck Joiner for his MacVoices show about The iPad for Photographers. In this discussion, we talk about why the iPad makes a good photographer’s companion and plenty of tools and apps that can help in the field and in the studio. 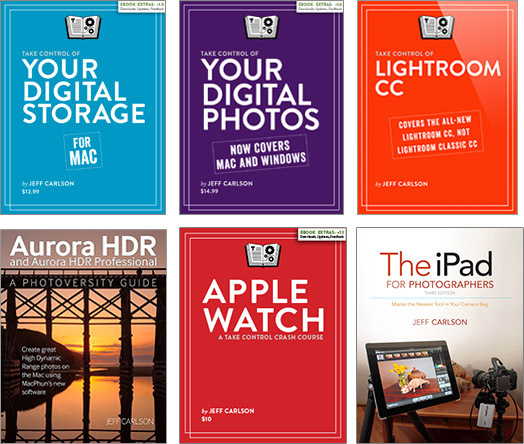 Audio and video versions of the interview are available: MacVoices #13164: Jeff Carlson Talks About The iPad for Photographers. You can subscribe to Your Mac Life at the iTunes Store. HyperDrive has released an update to its iUSBport app that drives the iUSBportCamera wireless device. The iUSBportCamera connects to your DSLR’s USB port and enables you to control the camera from your iPad. According to the (minimal) release notes, the new app adds HDR and Time Lapse capture modes, background downloading, and updated firmware for the iUSBportCamera device. I wasn’t able to include much information in the book about the iUSBportCamera due to time constraints—I didn’t receive a review unit until the book was sent to the printer—but its functions are very similar to the CameraMator described in Chapter 3. That’s because originally they were the same device: HyperDrive distributed the CameraMator until it and the original CameraMator design had a falling out. Now, the iUSBportCamera and the CameraMator share the same hardware. HyperDrive developed the iUSBportCamera and the designer is working on a new device called the CamNexus.